Synopsis: After a tragic car accident kills his wife, a man discovers he can communicate with the dead to con people. However, when a demonic spirit appears, he may be the only one who can stop it from killing the living and the dead. 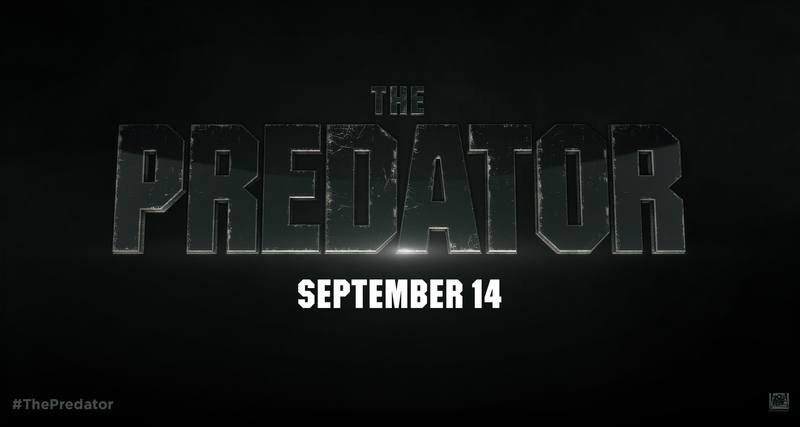 Review: What I love so much about movies is that over time bad ones can become good and good movies can become bad. We’ve all had experiences where we have this certain vision of a movie in our head (positive or negative) and then, upon revisiting said movie, our opinions can change. Then there are the movies that you liked but didn’t quite catch on with others which eventually gained a cult following in the ensuing years. 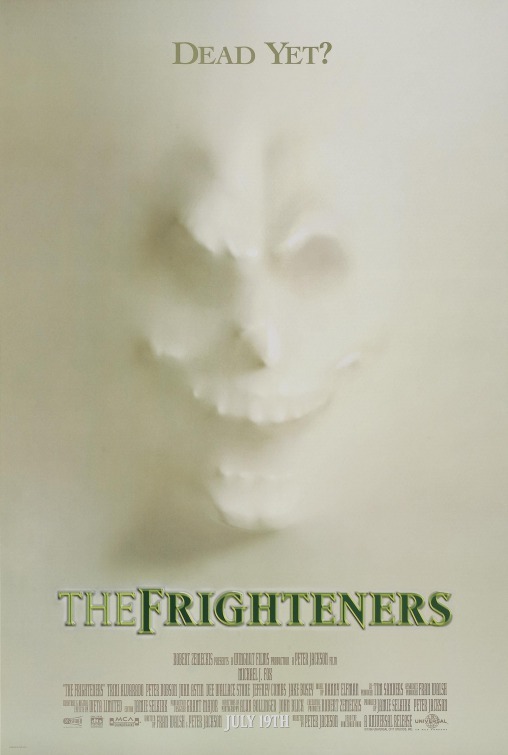 The Frighteners is one of those movies that I remember really liking when I first saw it but a prime example of a one that didn’t get the audience is richly deserved. With the rise in popularity of its director over the last two decades, more and more people are “discovering” this horror-comedy and claiming it as a spooky favorite. Better late than never, in my book. In 1996 director Peter Jackson hadn’t yet become ‘Oscar winning director of The Lord of the Rings trilogy and The Hobbit trilogy Peter Jackson’. He had found underground success with Meet the Feebles and Dead Alive, his first two movies that were truly out there in their oddity (both cult classics unto themselves). It was his 1994 film Heavenly Creatures (introducing most of us to Kate Winslet for the first time) that really put him on the map and caught the eye of big shot Hollywood director Robert Zemeckis (Flight). Originally bringing Jackson on to create another film in his Tales from the Crypt series, Zemeckis read the script from Jackson and Fran Walsh and decided it was good enough to be a standalone film. Using their homeland New Zealand as a stand-in for a seaside California town, Jackson and Walsh gathered their friends at WETA studios, the fledgling effects company that would explode with the LOTR films five years later, and set about to make a different kind of ghost story. Frank Bannister (Michael J. Fox, Back to the Future) is an opportunistic ghost hunter looking to con unsuspecting people out of their money in exchange for ridding their houses of poltergeists. The catch is that he can actually see these ghosts and has conspired with them to swindle the townspeople of Fairwater. When otherwise healthy townsfolk starting dying at an alarming rate, Frank realizes a malevolent spectre is at work…one that he may just have a personal history with. And what of the meek woman (Dee Wallace Stone, The Lords of Salem) being terrorized by an unseen force in the home she shares with her mother on the outskirts of an abandoned mental hospital? Is the same ghost responsible for all of the shenanigans going on? With the help of a local doctor (Trini Alverado) and his ghostly friends (John Astin, Chi McBride, and Jim Fyfe) Bannister avoids a creepy detective (Jeffrey Combs, Re-Animator) and goes further into the unknown as he seeks answers to who has gone-a-haunting (and a-hunting) within the town. Jackson and Walsh have imbued their script with a truckload of dark humor and it’s easy to see why it may have been off-putting for audiences looking for a more straight-forward tale of terror in the summer of 1996. The movie takes a while to get hopping and when it does it blasts off like a locomotive with little reprieve. It’s an effects-heavy film and one that famously held one of the longest shooting schedules ever approved by Universal Studios. The extra time was worth it, though, as even twenty years later the movie holds up to CGI scrutiny with the best of them. I recently watched the Director’s Cut for the first time and it’s about 10 minutes longer than the version released in theaters. The added scenes flesh out the characters (pun mostly intended) and provide a little gasp of air while the movie is moving at lighting speed. Jackson is good with setting up extended scenes of delirium but he’s not simply out to give you the willies. He’s more concerned with the overall film experience and that speaks highly of the kind of filmmaker he was growing into. Much like he immersed us in Middle Earth with his unimpeachable LOTR trilogy, he gives the audience checking out The Frighteners what they came for and much more.